Cookiebar is a home-based business known for its innovative takes on one of the world’s favorite desserts. Among its growing line of baked goodies are two of its best selling items: the Cookie Cup (cookies baked in cupcake tins with assorted toppings) and the Cookie Cake (cookie dough baked in a cake pan). Other favorites include Cookiebar’s traditional cookies (cookies in the shape that everyone is familiar with), Ferrero-Nutella Cookies, and Oatmeal Cookies. Ms Anna Patricia Acosta-Perez, known to her family and friends as “Ivorie”, is the baker/owner behind the business. She graduated from De La Salle University with a degree in education. 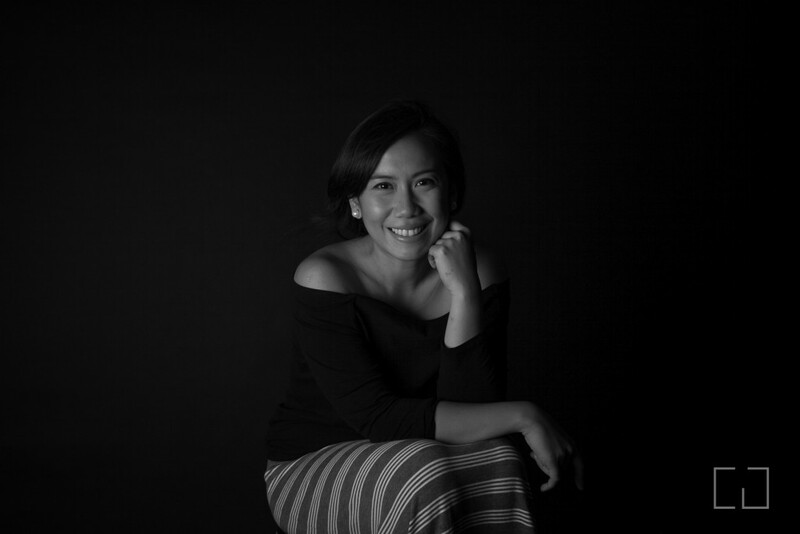 After college, she started her professional life as a teacher in Explorations Preschool in Mandaluyong City. 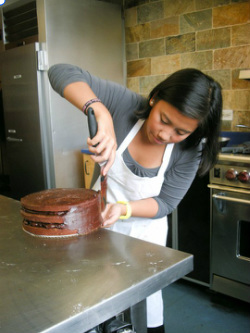 The idea to start baking came to her in 2009 while on vacation in New York. She discovered a few pastry shops that sold some of her favorite baked goodies. One of these bakeries, called the Levain Bakery, sold cookies that had a crispy exterior, yet still maintained a soft, chewy interior. Ivorie was determined to emulate the cookies Levain Bakery sold once she got back home. However, even after numerous tries and tons of ingredients used, her test batches were not at par with cookies from the bakery in New York. In one of her last test batches, she used cupcake tins so that the cookies would not spread into each other. Unintentionally, she was also able to develop that moist and chewy exterior. She had her family and friends try out her creation, which was met with positive reviews. It wasn’t exactly Levain Bakery-style cookies, but the end result was still as good. Thus, her Cookie Cup line was born. As an offshoot with her discovery of how to make her Cookie Cups, Ivorie soon developed other baked goodies. Oatmeal cookie cups soon came up. The Cookie Cake was initially a giant heart-shaped Cookie Cup limited for Valentine’s Day only. It became so popular that she started offering it as a regular item in her product line. She even went back to New York for a few weeks to attend more baking seminars for bread and cakes. Ivorie has since added a classic chocolate cake to her menu and a few breads to her repertoire. Away from the kitchen, she is also responsible for marketing her Cookiebar brand via social media (Facebook, Twitter, and Instagram). She has also appeared in a handful of magazines and a few TV segments to promote her creations. Ivorie currently operates Cookiebar at a small kitchen/commissary in Pasig City where she caters to online orders, walk-ins and cafe or restaurant partners. 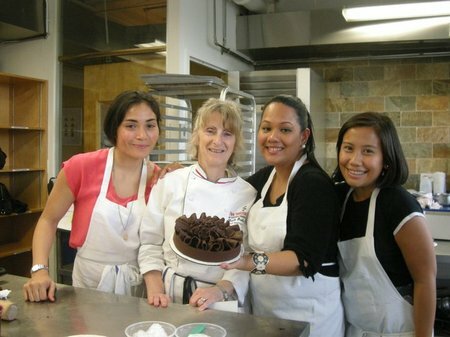 Ivorie teaching baking to young aspiring bakers! Ms Anna Patricia Acosta, known to her family and friends as “Ivorie”, is the baker/owner behind the business. She graduated from De La Salle University with a degree in education. 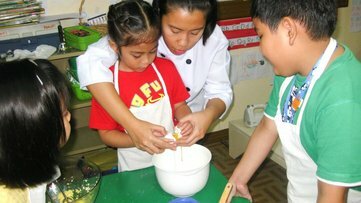 After college, she started her professional life as a teacher in Explorations Preschool in Mandaluyong City. 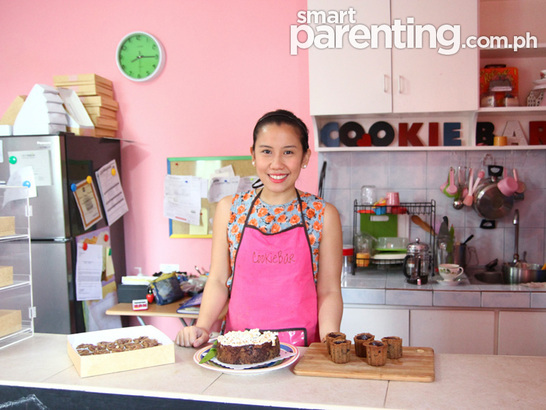 While Ivorie currently operates Cookiebar at home, she one day plans to open a bakeshop to be able to cater to more customers. Even though this goal is still a dream today, she still continues to develop more baked goodies for Cookiebar customers and dessert fans alike to enjoy.